This entry was posted on Sunday, July 19th, 2015 by Frances Ryan. 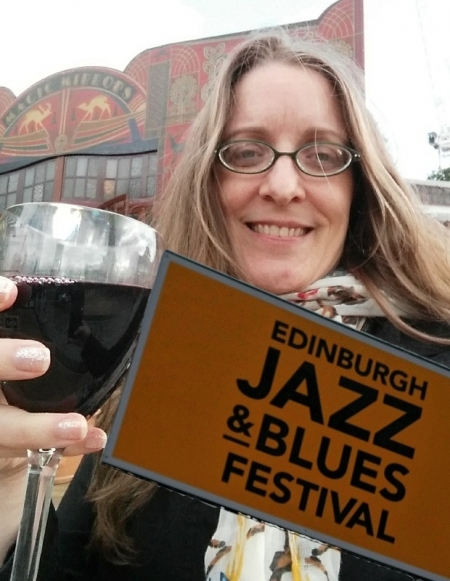 The Edinburgh Jazz and Blues Festival started on Friday, setting the tone (pun intended) for my weekend. I admit that the weekend has been slightly less active than originally planned, but the jazz quantities have been maintained, thanks to a well-stocked iPod. Then yesterday (Saturday) I went back into town to listen to the bands playing at Mardi Gras in the Grassmarket. It was a bit windy, making it slightly too chilly to stay for the entire day, but I did manage to make it around to all four stages—and got to listen to the two bands I really wanted to hear. I then spent a bit of time in the evening listening to some of the various festival bands on YouTube. The weather forecast called for rain today, so I decided to skip the Carnival Parade. Instead, I stayed home to catch up on a bit of PhD work. But, as it’s meant to be a jazz weekend, I did so whilst listening to some of my favourite jazz music on my iPod. Yes, Harry Connick Jr was in the mix (swoon!). And I’m sure I’ll listen to even more later on this evening when I treat myself to one of my lovely home spa days! I am planning to check out two more shows next week—again, using the £5 student standby tickets. And hopefully I’ll find some new favourites to add to my jazz playlist.